What we eat and drink has a direct relation to well being mood and eventually all aspects of human health. As evidenced by ongoing research, the quality of the food we eat plays an important role for the good condition of our memory and concentration. The brain consists of about 100 billion cells (neurons) that control all major body functions, including our memory. Like all the cells of our body, so the brain needs adequate amounts of vitamins to ensure their smooth operation and continuous power supply. Brain cells indeed exhibit very high energy needs, representing 20% of our basic metabolism. What is the role of food in our memory’s health and which foods can improve both our memory and concentration levels? The main fuel of the brain is glucose, which is supplied by the blood. The brain needs glucose throughout the day, while the lack of it causes the brain to change its priority on fuel (ketone bodies) and that disrupts its smooth functioning. So the role of diet in maintaining stable blood glucose levels is crucial and this is mainly achieved by frequent, balanced meals that contain foods rich in carbohydrates. Besides lunch and dinner, which are the two main meals for energy, particularly important is breakfast and snacks in between. These should not be omitted as they continue the steady supply of glucose to the brain. Breakfast covers our initial energy needs, and recent research suggests that it also contributes to good mental performance. Specifically, studies conducted in children and adolescents showed that children who ate breakfast regularly had improved memory and better performance in school. In adults, regular consumption of food between meals (snacks) is associated with improved concentration, better memory and work performance. Recent studies analyzed the negative impact of strict diets on health and revealed that among the main symptoms were severe neurological disorders such as memory loss, lack of concentration, weakness, bad mood, etc. It is obvious therefore, that when our diet is not balanced (a diet which includes a variety of foods in the correct proportions and amounts), our body does not acquire the necessary vitamins and glucose that is essential for an enhanced memory. So you have one more reason to avoid diets that promise quick results through an intense and ultimately dangerous deprivation. Adequate hydration is something that is often overlooked. On a daily basis we need to replenish the water we lose normally through the consumption of a variety of liquids. Besides water, hydration of the body can be achieved through a number of liquids, such as coffee, tea, juices, soft drinks, fruit and vegetables. Do not forget that the content of fruits and vegetables in water is as high as 70-80% of their weight. The importance of proper hydration is also proved by research showing that even 3% dehydration (i.e. less than 250 ml) causes lack of concentration, weak memory and reduced performance. The B vitamins (especially B6, B12 and folic acid) contribute to the proper functioning of the nervous system, facilitating the transfer of nerve impulses. Foods rich in these vitamins are dairy products, nuts, whole grains, legumes and green leafy vegetables. Also, the antioxidant vitamins like E and C, can improve memory by slowing the aging of brain cells. Foods rich in vitamin E are olive oil and seed oils. Important sources of vitamin C are citrus fruits, kiwi, blackberries and strawberries. Red meat and other food products which are based on red meat (i.e. sausages) are foods rich in saturated fat. These foods besides the cardiovascular problems they create, they also appear to reduce the capacity of intellectual performance. 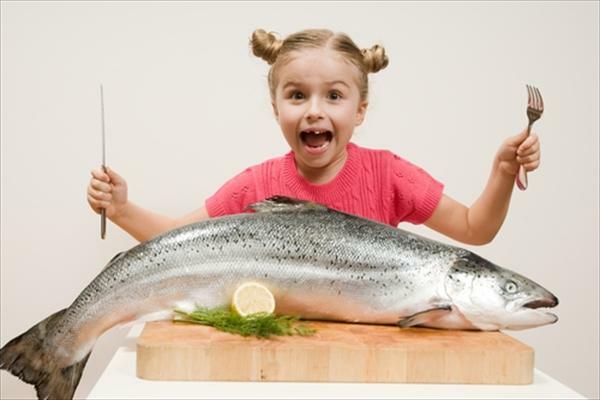 Instead, you can eat fish, especially oily fish (salmon, trout, and tuna) that are excellent sources of omega-3 fatty acids. Omega 3 has been proven by studies to enhance memory and protect brain cells from damage. Iron is one of the most important nutrients for the body. Low levels of iron, especially when reaching the point designated as anemia, adversely affect our cognitive functions, memory and ability to concentrate. Particular attention should be taken from vegetarians, who must follow a diet carefully designed to meet their needs for iron. Studies have shown that eating chocolate increases the production of endorphins, substances that lead to a better mood and stimulate memory. Also chocolate contains moderate amounts of caffeine, which is associated with stimulating and improving our mood. But beware, because chocolate has enough calories and when not consumed in moderation can lead to weight gain. A small piece of chocolate which is rich in Cocoa is the ideal and healthy solution. What to eat to improve your mood, concentration and memory!